Up from the archives comes inspiration for a new entry-level model. 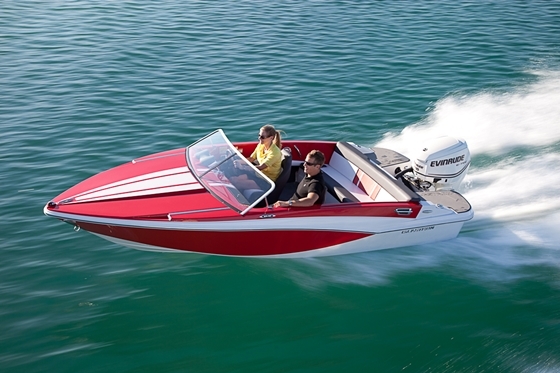 When I was a kid, a family friend had a low-slung, gold-metalflake Glastron speedboat with a 100-hp Merc that was the sweetest rig on Big Green Lake. And who can forget James Bond jumping a Glastron GT 150 over a levee in the 1973 movie Live and Let Die? In the 1960s and 70s, Glastron was swank. 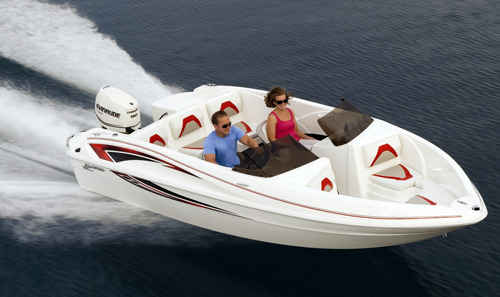 Now boats from that era provide the inspiration for the Glastron GT 160, a new outboard-powered runabout with lines drawn directly from that design legacy. 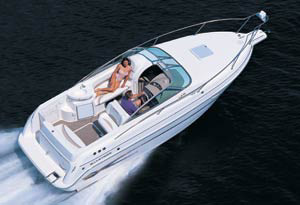 With a roadster windshield and racing stripes, the new Glastron GT 160 draws on 40-year-old styling cues. 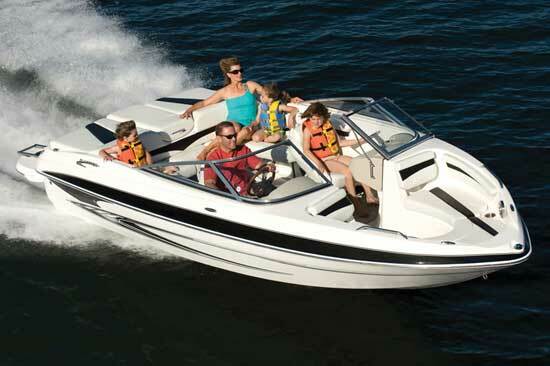 Available with an open- or closed-bow deck, the 16-footer is rated for up to 115 hp, and will have a base suggested retail price ranging from about $21,000 to $24,000 (with an EZ Loader trailer), depending on outboard brand and power. Glastron will also offer four Collector Limited Edition versions of the GT 160, each with a production run of just 55 examples, in honor of the brand’s 55th anniversary. 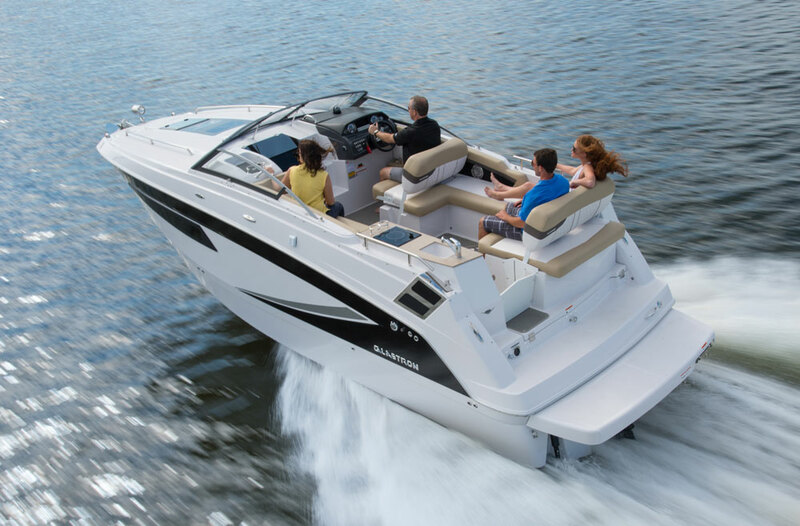 The most obvious styling cue on this new boat is the bond line of the hull/deck joint, which forms the top of the classic Glastron “reverse spear” graphic on the hull side. The bowrider version has a full sunpad forward with no footwell. The foredeck of the closed-bow version has small scoop accents that may be illuminated with a row of LEDs (a $164 option). Cockpit highlights include 1960s-style bucket seats that mount directly to the deck, rather than on pedestals. There’s a bench seat across the rear of the cockpit, and boarding platforms flanking the motor, which is set far aft for minimal cockpit intrusion. I’d trade those platforms for the flipped-up spoiler tail of the 1970s-era GT 160, but oh well. The dash is a real throwback design, with a flat steering wheel, pull-out switches for electrics, and gauges mounted in deep aluminum tubes. Glastron will offer 160 GT owners a choice of fuel systems, either a pair of six-gallon portable tanks, or an optional built-in 18-gallon tank ($707). 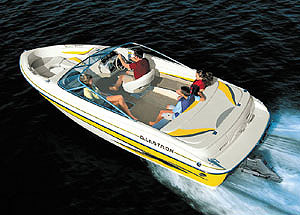 Your father’s Glastron was a GT 160, too. 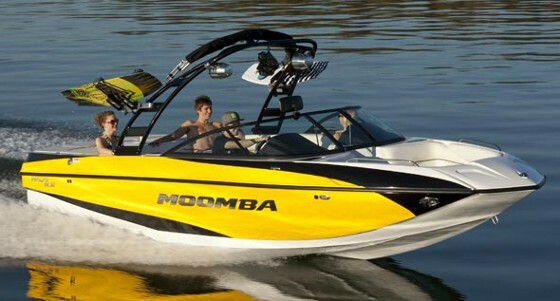 This is a 1972 model that provided inspiration for the new runabouts. Each of the four Limited Edition models carries a $2,337 premium over the base price, and will be offered in a single color scheme and only in the closed-bow configuration. Each also has a special interior design. Of the four, my favorite is the GTA Anniversary Edition, which has a dark windshield and an orange finish with cream accents inspired by the 1971 Glastron/Carlson CV-21. I really dig the Glastron 55th Anniversary logo, too, which looks like it was lifted from the front fender of a 1965 Chevy. Groovy. 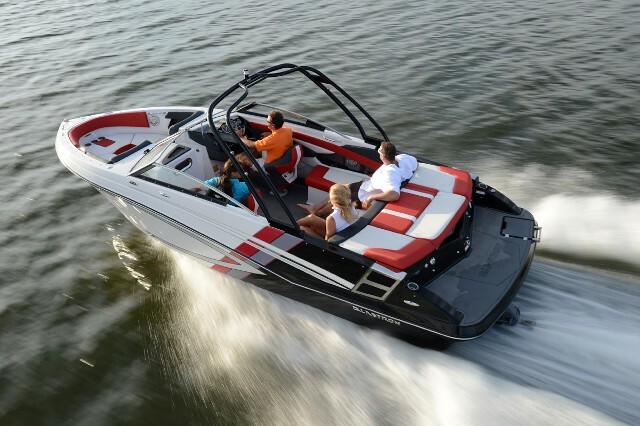 As of this writing, Glastron has not posted the GT 160 or any of its other 2012 models on its website, but dealers do have information on these boats. For more information visit Glastron.